A cost leadership strategy aims to take advantage of a company’s size, scope and ability to produce a product or service more efficiently than competitors. This usually involves producing a standardized product or service that is often applied across many markets, e.g., large franchises or corporations such as Wal-Mart, McDonald’s, and Dollar General. Alternatively, differentiation strategy involves a more customized approach identifying what the customer values and delivering on that value more effectively than the competition. Herein lies great opportunity for locally owned businesses. Locally owned businesses have a unique advantage to attract customers by more effectively differentiating their products and services because they have the ability to know more precisely what their customers value more than anyone else. Growing up in the same communities, we share the same values as our customers; we send our kids to the same schools, we contribute to the same charities, we see each other at church, events, gatherings, etc. Furthermore, we have established relationships and common networks with our customers. Our larger corporate competitors crave these engagement opportunities, the same ones we often take for granted. Inside our businesses we get to interact directly with customers, acquiring important feedback about how we can further add value to their lives. We have the ability to make immediate frontline decisions in order to meet their needs. Large, centralized corporations with distant decision-makers cannot respond to customers’ interest nearly as effectively as we can. Lastly, we have the unique ability to create a culture truly centered on what our customer values most. We can thereby attract other members of our team who share these same values, and who will effectively deliver this value and message to our customers. 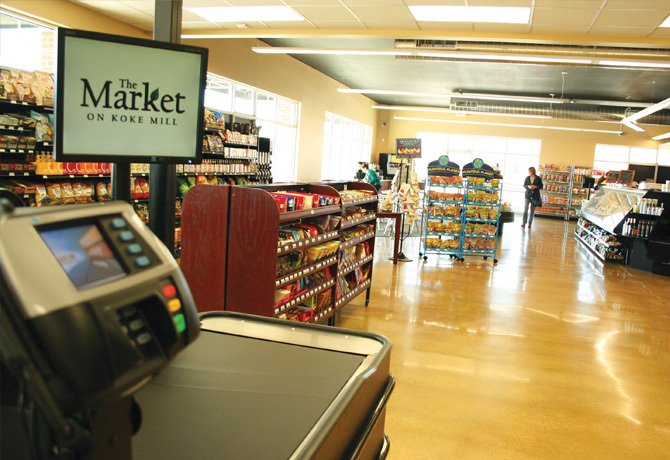 My brother, Chris Sommer, and I recently opened a new neighborhood grocery store near the corner of Koke Mill and Iles in Springfield called The Market on Koke Mill. We deployed this differentiation strategy when designing our business model. We both grew up in this community, and Chris has lived and worked in retail his whole life in this area. capturing value through a profitable business model. Years ago we identified Springfield was missing a healthier, specialty food shopping experience. Using the principles described above, we attempted to position our store to provide differentiated products and service. 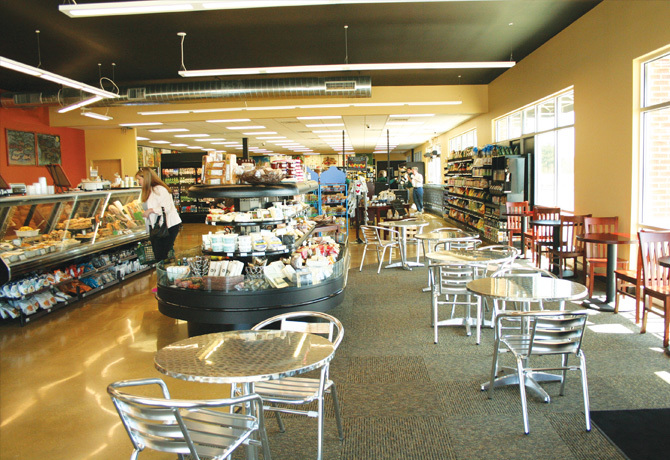 Convenience: Located right in the heart of where our guests live, in a space where they can easily park within feet of our checkout counter, allowing them to get in and out in a matter of minutes. Atmosphere: The store is clean, safe, exciting and inviting to families. High-quality meat – grass-fed, organic, choice, Angus certified, local – as well as seafood. Our coffee was specially selected and roasted for our guest palate. as well as right in our backyard. Customer service: Customer service will always be our greatest opportunity to develop a differentiated and sustainable competitive advantage. We must seek out the things our customers value and effectively deliver that value to them. Bruce Sommer is a visiting lecturer and entrepreneur-in-residence at the College of Business and Management at the University of Illinois Springfield where he leads the Center for Entrepreneurship and Family Business. He is has started many of his own businesses, invested in a multitude of startup businesses and now manages NextGen Ventures and two business angel investing groups.